Help identify and locate the man who fled the scene of a crash in Huntington in June. 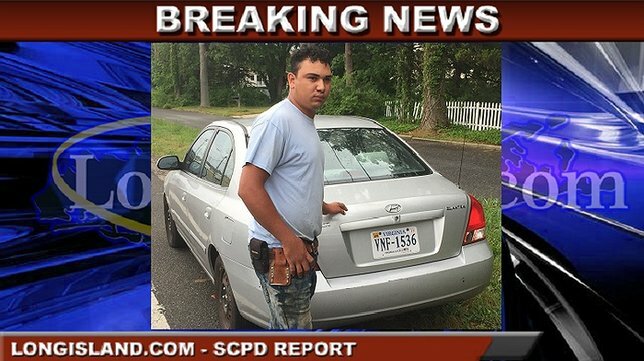 Huntington, NY - July 26, 2016 - Suffolk County Crime Stoppers and Suffolk County Police Second Precinct Crime Section officers are seeking the public’s help to identify and locate the man who fled the scene of a crash in Huntington in June. A man was driving a 2003 Hyundai Elantra eastbound on Pulaski Road when he struck a 2016 Chevrolet Silverado on June 28 at 7:30 p.m. The suspect briefly got out of the vehicle but later fled the scene when the victim wanted to make a police report. The Elantra was described as silver with a Virginia license plate, VNF 1536. Subject: LongIsland.com - Your Name sent you Article details of "SCPD Seeking to Identify & Locate Man Leaving the Scene of an Auto Accident"